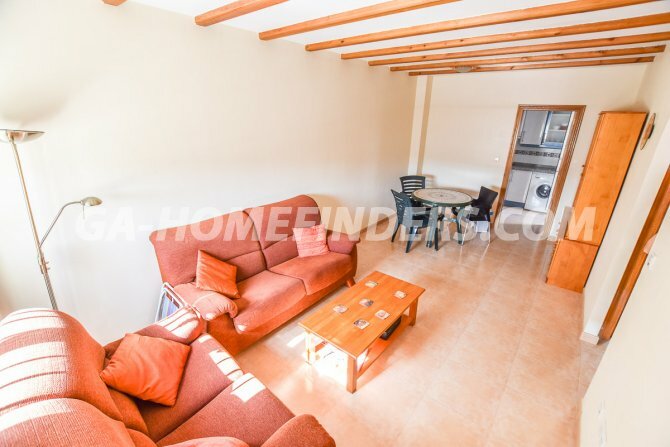 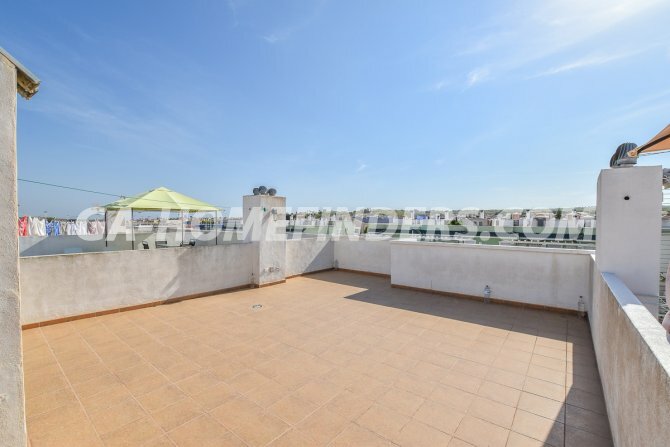 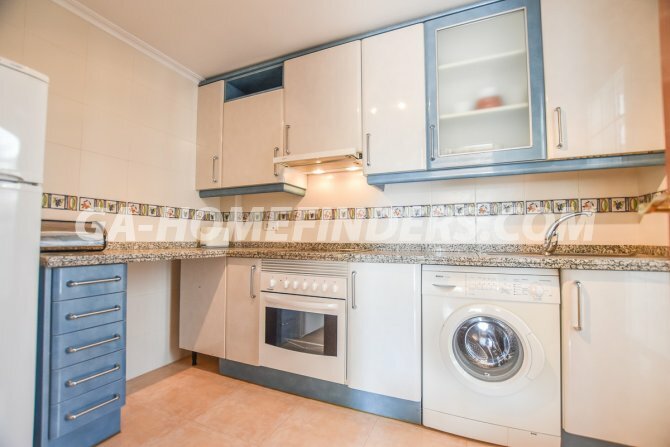 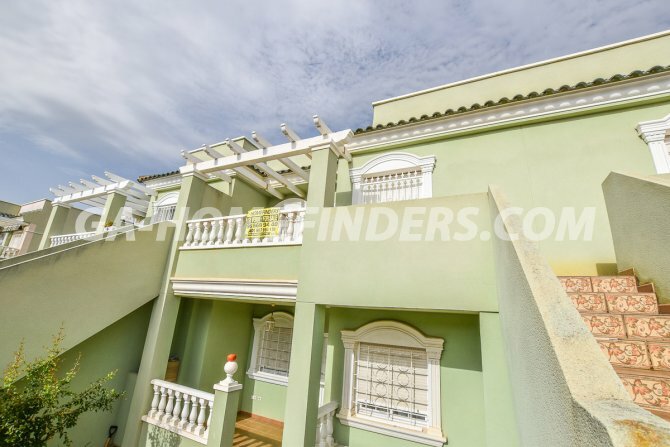 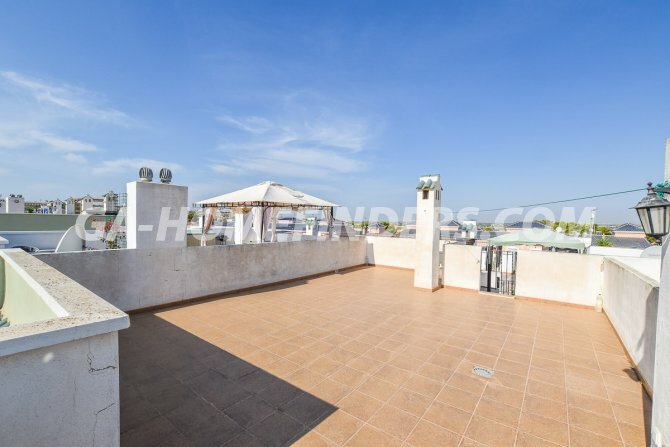 Top floor furnished apartment, with 2 bedrooms and 1 bathroom, has an independent kitchen, the bedrooms have fitted wardrobes and there are ceiling fans in all the rooms. 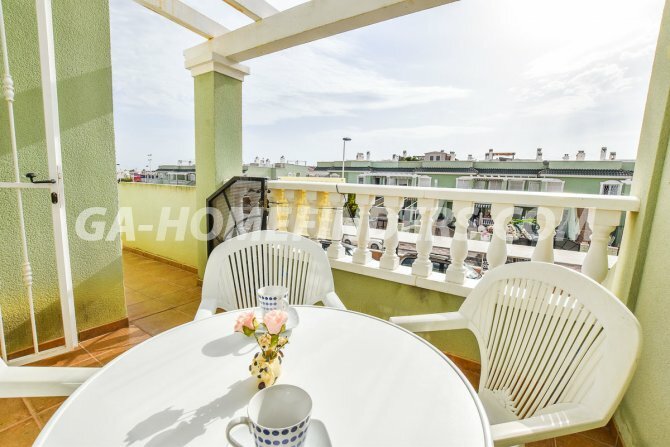 It has a large terrace and access to a very large private solarium, benefits from a private parking space. 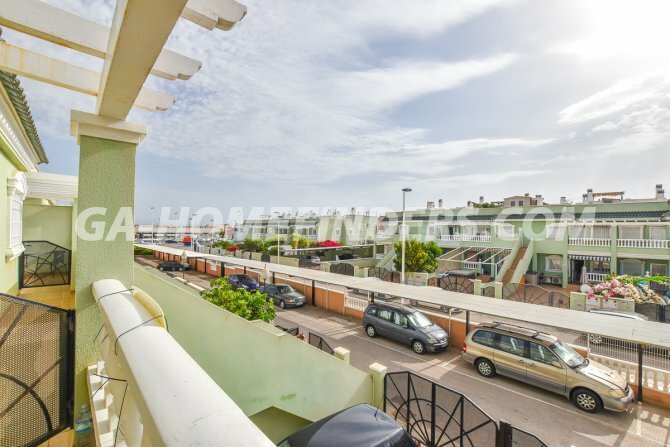 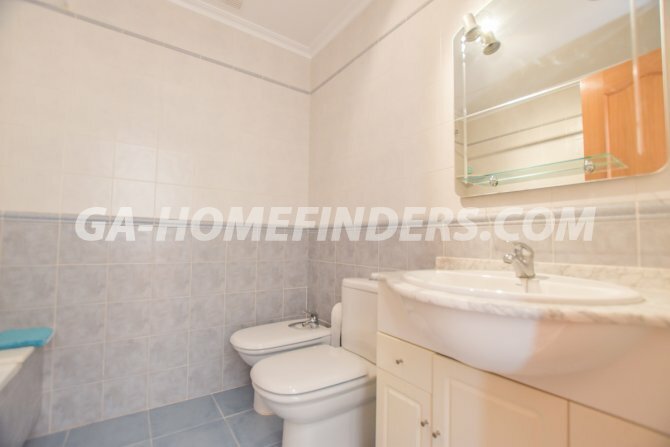 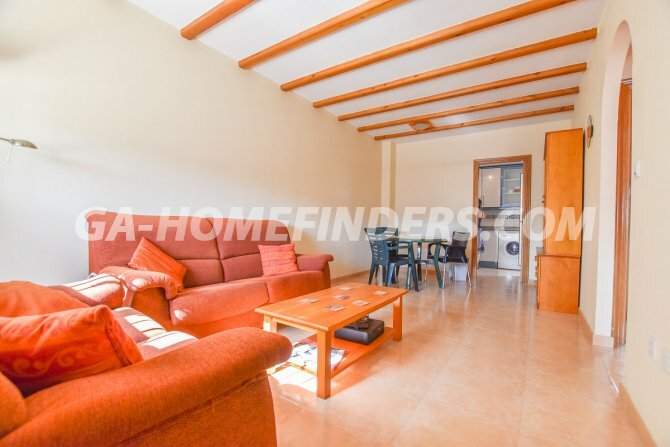 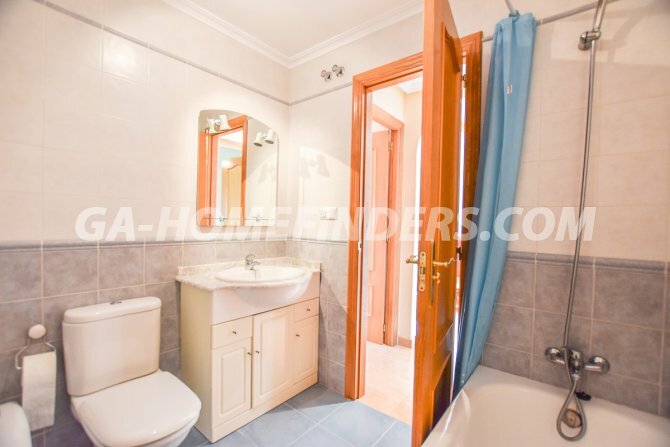 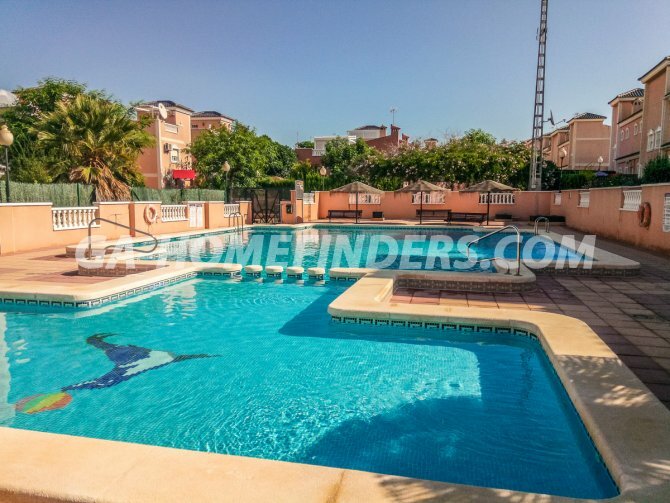 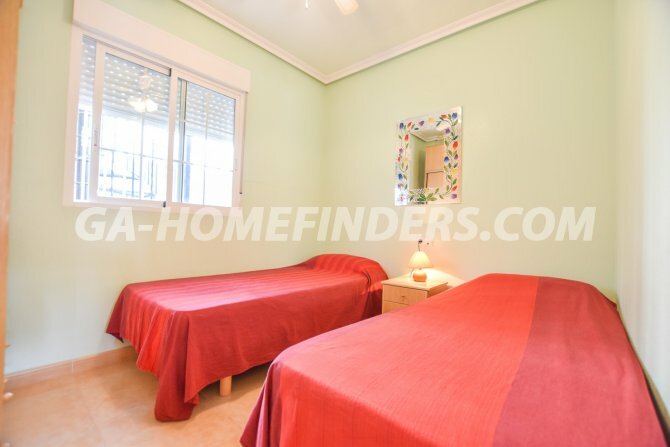 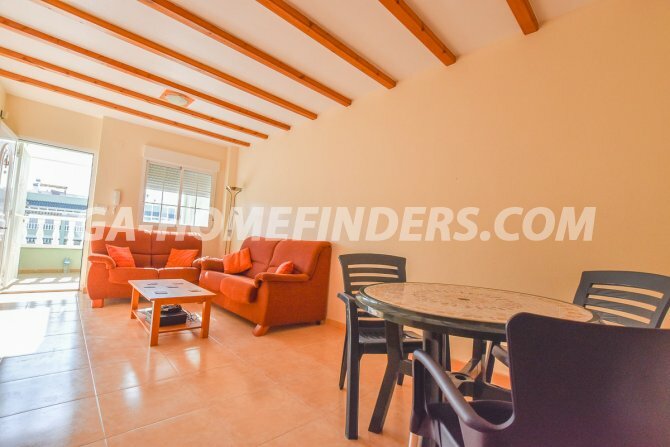 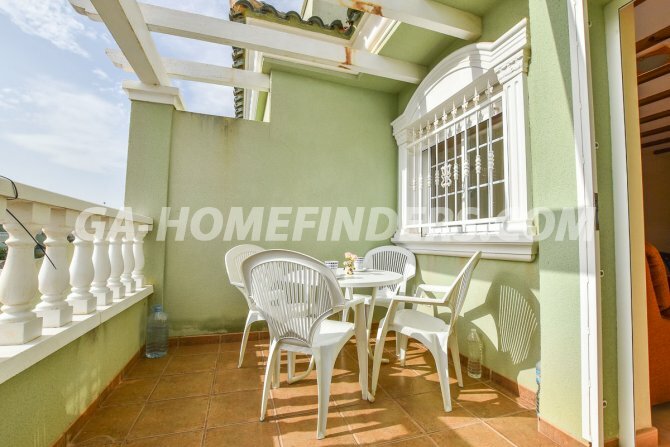 The house is located in the lower part of Gran Alacant, in a quiet and very nice urbanisation, with two communal pools. 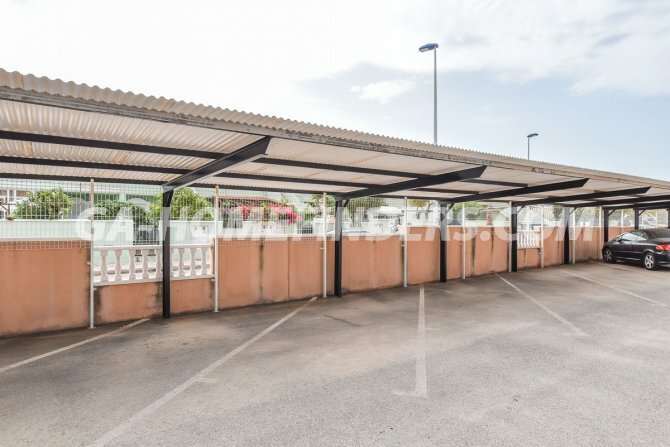 It is just a short walk to the Gran Alacant Commercial Centre where there are a range of bars, restaurants, banks, supermarkets, a gas station and convenient access to public transport. 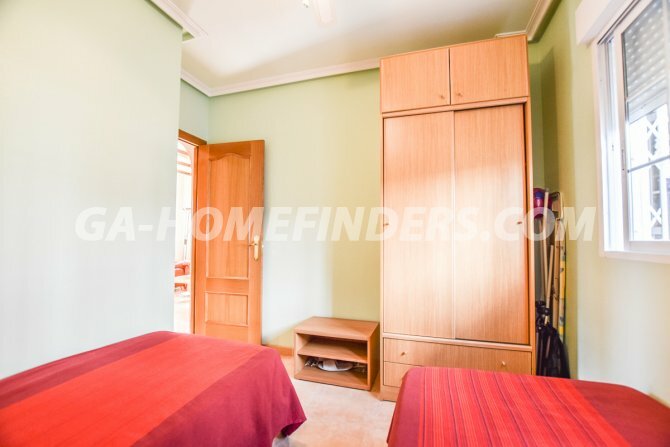 Carabasi beach is just 5 minutes away by car.